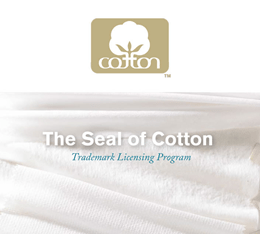 identify products made of cotton. For quality products containing100% cotton. Sheet (PIS) as well as a sample of your product. cotton, nature’s most versatile ber. to request a licensing package. Or contact your Cotton Incorporated Representative. No. The Seal is available worldwide! etc. It is a symbol of quality.